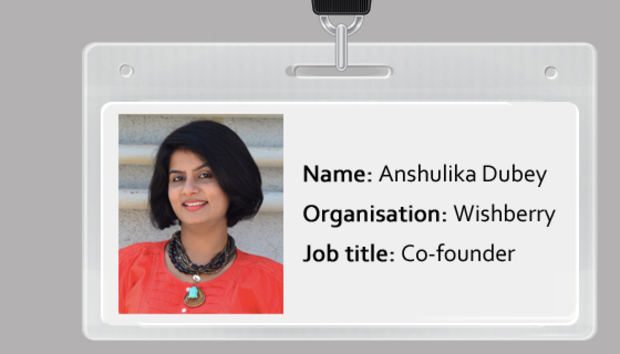 Co-founded in 2012 by Anshulika Dubey, Wishberry is India’s biggest crowdfunding site, providing a means for directors, musicians, artists and entrepreneurs to find funding from the public at large, rather than VC or angel investment. To make all this happen she teamed up with another ex-McKinsey consultant, Priyanka Agarwal, who came on board as co-founder. Now this site may have been running for two years - but is India really ready for its own Kickstarter? IDG Connect: How would you describe the state of Crowdfunding in India right now, and where do you see it going in the next few years? Anshulika: It is definitely still nascent, growing slowly and steadily. In the next few years, I see crowdfunding emerging as the preferred route for entrepreneurs to jumpstart their ventures and a lifeline for arts & creative projects. India has responded very positively to crowdfunding, much to our amazement, despite issues of a payment gateway, internet connectivity and penetration, and being a developing country with a perceived notion of growing but low per capita income. Wishberry was the pioneer in starting this concept in India in 2012 and then many other crowdfunding platforms emerged and followed. Are technology projects more or less common compared to other types of project? No, technology projects have not yet taken off in India in the crowdfunding route. This is primarily because India is a service economy. We have a lot of technologists but all in jobs and not really venturing into entrepreneurship, making their own products. [There are] lots of reasons [for this] - low risk appetite, a need to earn money quickly to be able to support a family, wanting a salary rather than equity etc. Growth in product entrepreneurs or just entrepreneurs in general will result in the entry of tech projects into the crowdfunding route naturally. What are the main challenges holding back the spread of Crowdfunding in India, and do you have any concerns about issues that could stop it becoming more popular? The only issues are internet penetration and server connectivity issues between banks and payment gateways. The intent of crowdfunding - to campaign and to fund - is definitely there. There is one more problem which is specific to India and that is campaign communication and presentation. Indians in general do not know how to make a compelling case to sell their projects due to poor communication skills. That's why Wishberry has a unique approach to this - we are not completely a DIY channel, we provide crowdfunding coaches to each of our campaigners who consult every campaigner on their pitch video, rewards, marketing plan and campaign content. So we are solving this problem by being a little more hands-on in our approach. None of the above are problems that can stop crowdfunding from growing because internet penetration and connectivity [problems] will be solved. It's just a matter of time. And our consulting approach is delivering us a 30% success rate! Is crowdfunding good for innovation? Absolutely, I would in fact go on to say that it is a life line for innovation. Innovation can happen only in risk-free zones, and that zone is crowdfunding, where you have the money and support to do the innovation you want to without being worried about monetary returns. That's when innovation thrives! Would you say crowdfunding is more effective than Venture Capital and angel investment? It's definitely not a direct competition when it comes to startups. Crowdfunding in fact can help angel investors and VCs take better decisions about their investments. It's like Mark Cuban says - "Don't show me your b-plan, show me your crowdfunding campaign". It is because crowdfunding can give validation to a concept and can act like proof of concept which is what an investor looks for when shopping for startups. Having said that, crowdfunding can become more effective than traditional investment channels when it comes to projects that cannot be scaled, like a dramatic play or a rock concert, for example. In such cases, the crowd becomes the rescuer of the idea, when corporate sponsors shun them. How does Wishberry differ from the big multinational sites such as Kickstarter or Indiegogo? 1. Wishberry [is very] much like Kickstarter [in that it] curates its projects and has chosen to play only in the areas and categories it wants to. Apart from the funding similarity in process, we operate differently from our international counterparts by bringing in the angle of consulting services through a crowdfunding coach per campaigner. The coach guides the campaigner on pitch video, rewards, their pricing, page content, graphic design, marketing and identifying the target audience for the campaign, plus guidance throughout the campaign on its social media marketing. This is because India is a service economy, we cannot be left alone to run a crowdfunding campaign on our own. Plus Indians, as I mentioned, need help in communication skills, so we help with what needs to be communicated on the page, through the video, etc., about the project. 2. Payments in India operate differently. Payment gateways are not allowed to store credit card information for more than 12 days. In this case, we deduct a contribution when it's made and not at the end of the campaign like Amazon payments, which Kickstarter uses. But since we also follow the ‘All or Nothing’ policy, we have to return the funds if a campaign does not meet its target. 3. India is a cash economy, there are very few people who make payments online using credit and debit cards. So we offer cash/cheque collection services at doorstep as well in addition to online payment collection. In general collecting funds is not difficult, it just works differently. How much has been pledged to Wishberry, and how much has been actually raised? We have adopted our ‘all or nothing’ policy only recently. Until now, we were a 'keep what you raise' platform, so whatever was pledged was deducted and given to campaigners. We have no pledging vs. raising numbers, but we have raised $500,000 so far from 7,000+ funders for 600 projects in the last two years. What kinds of projects are most common/popular on the site? Which projects have been the major successes? It's a mix between startups, publishing, events, arts and creative projects. Major successes to date have been: Mestrupedia - a comic book on menstruation to educate girls about periods. Stay Attuned – a classical-pop music album which was produced as a collaboration of artists from 13 countries by an Indian singer, and a radio station for the rural folk of Uttarakhand. The rural folk of this state didn't have a good source of entertainment so [National Resource Institute] NRI set up a radio station for them. What are the future goals for Wishberry, how big do you want the site to become? Crowdfunding is just a means to a bigger end for us and that end is to rescue innovation in this country. So through this we aim to make our platform a place to: fund ideas, discover ideas, validate ideas, get resources other than money to jumpstart the idea, and eventually make a market place, to sell these crowdfunded and crowdsourced innovations. « Why is dotAfrica Important for the African Continent?